During times when your spouse is deployed its up to you keep the home front in order and take care of yourself. It can feel overwhelming and confusing trying to organize and handle daily life on your own if you are use to your spouse helping out. How do you make sense of you new life without your spouse? I love this quote by Winston S. Churchill “It is not enough that we do our best; sometimes we must do what is required.” We must rise above and go that extra mile to support our spouse. Know the cycle of deployment its a Know the cycle of deployment its a very emotional time when your spouse is deployed for you and your family.very emotional time when your spouse is deployed for you and your family. What is the cycle to Deployment? Its really easily to drift in and out of good time and bad times while you spouse is deployed you could feel proud, lonely, grateful, angry, insecure, happy or guilty. There might be time when you feel mad because you spouse didn’t response a certain way or used a harsh tone when talking to you. Both you and your spouse are experiencing life together in a situation where trust, understanding and patience are a must. No one is perfect and that’s okay as along as you can figure out how to live while you spouse is deployed. I found this ready great illustration of what it came feel like for military spouses when their soldier is deployed. Pre-deployment (varies) – You might feel anxious and overwhelmed getting you soldier ready to be deployed. During this time you might be needier or want to spend lots of time with your spouse. You could feel like everything is falling apart but you try and get it together. Deployment (1st month) – You might be sad or cry missing your soldier and having them away. During this time its okay to be emotional and its okay to feel how you feel. Sustainment (months 2 thru 5) – You start to find your groove, your new normal living without your spouse. 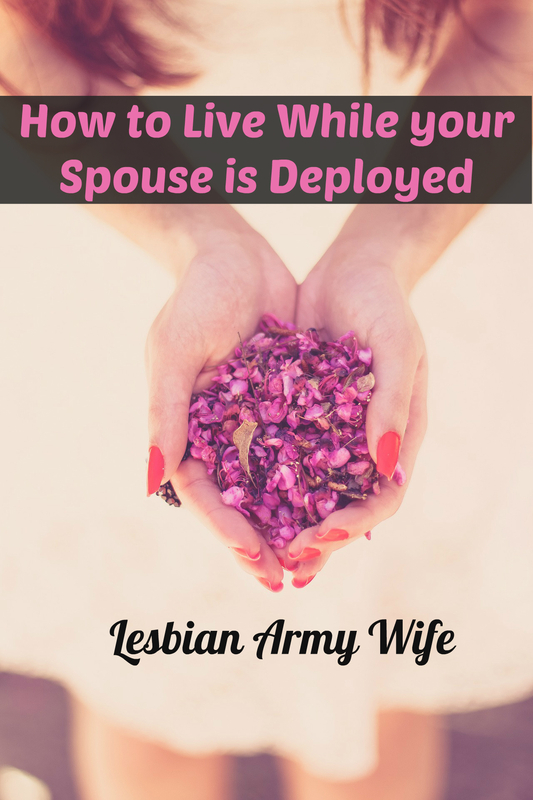 You begin to do the same things you normally did before your spouse deployed. Re-deployment (last month) – Scrambling to clean the house, to pay the bills, make sure there is food, and make sure you are all cleaned up. Just remember to breathe. Post-deployment (3-6 months after deployment) Ready for your fairy tale homecoming of your spouse. Just remember to have realistic expectations once your spouse is home. What makes you happy? Start looking around at your life and figure out what your passion is. Do you want to start or go back to school? If yes then go. There is nothing like living in the present moment. Or do you want to work on a hobby you stopped long ago? I am such a crafter and creator from crocheting and sewing to web design and blogging you name I have done it. Do you want to work or change jobs? Research jobs you would be interested in or apply to new jobs. During the time your spouse is deployed use your time to fulfill your dreams and hopes. Communicate with your spouse is a must, make use of handwritten letters for a nogalistic feel, use emails when your spouse is out of reach, use phone calls and text messages to your advantage, or if you can’t stand it try using a webcam to see your spouse. Remember not to stress out too much or worry if you spouse hasn’t been able to contact you. If your spouse seems somewhat distant or lacks the emotion or energy you are used to, keep in mind they are serving our country. There will be times when you spouse cannot tell you everything they are doing on the job for security reasons it part of the job not a reason your spouse doesn’t share certain things with you. Always keep an open mind and positive outlook to keep your heart full of love. Deployments are not easy to adjust to and you might not ever fully adjust to the. Nonetheless, that is completely understandable and even normal to feel uneasy, sad, or angry that your spouse is gone. However, try to avoid negative thinking, drinking excessively, and spending a lot of money you might not have. Deployments are only temporary no need to dig yourself into a hole you might not be able to get out of. It’s very easy to sidelined if you isolate or distance yourself from activities or people you enjoy. Take some time for yourself and don’t feel guilty about it: self-care is very important for your overall health. There will be days when you just need to kick up your feet up and drink that beer, margarita or cup of wine regardless of the calorie count for the day. Crack open that book or magazine you have been meaning to read. Binge watch all your favorite shows and have girls night whenever you want with your closes friends and new military spouses. Indulge actions that equal relaxation for you. Keep Calm and Love Your Solider! 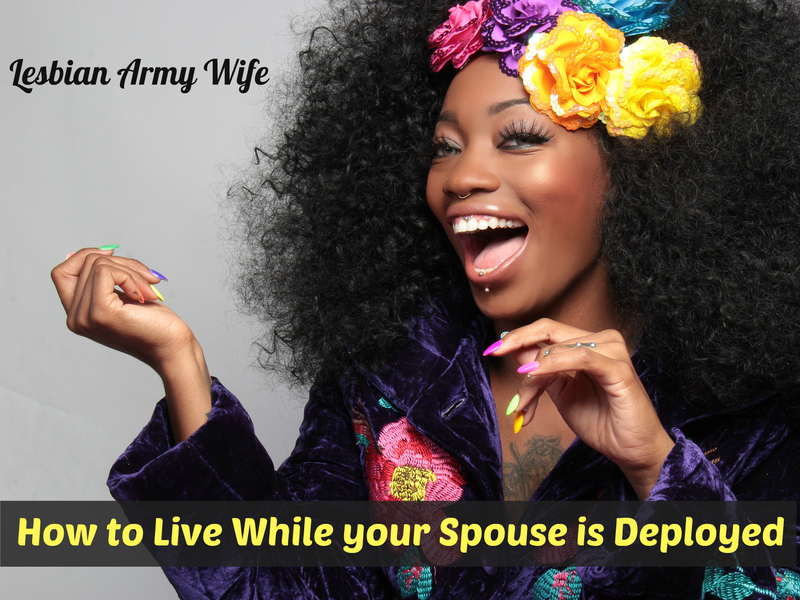 How do you live while you spouse is deployed? Leave a comment!